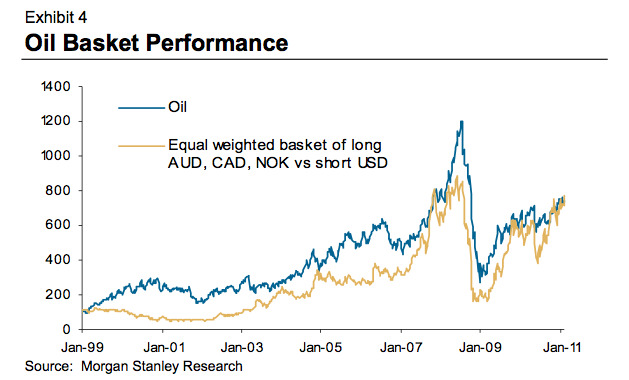 From the latest Morgan Stanley FX Pulse, this nice little infographic shows which currencies rise with oil (the ones at the top) and which ones dive with oil. 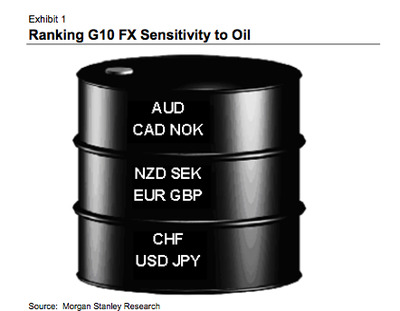 Not surprisingly, heavy oil importers like the Swiss Frank, the yen, and the dollar would slide if oil goes up. 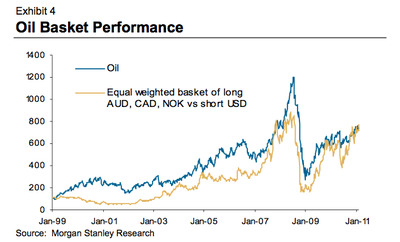 Meanwhile, this chart shows how you can synthetically match oil’s movement going long a basket of currencies, while shorting the dollar.